When I was younger and something negative happened, my parents were fond of brandishing the “Life gave you lemons, make some lemonade” phrase. Honestly, it sort of irritated me. “Easy for you to say” I often thought, and “You don’t understand”. These days I’m pretty sure they did understand. And with age and I hope a little wisdom, I now see the value in the those words and the lack of value in feeling sorry for yourself. It is with that in mind that I bring you a rather small but classic lemonade story. Our Sports Boosters are a really great group. Like many groups that operate behind the scenes, they don’t get enough credit. One of the great things they did on a regular basis was to decorate our buses for trips to important extra-curricular events. As a former student-athlete and coach, it’s hard to put a value on what that little something extra does for a team. Needless to say it’s worth the effort that the boosters put in. 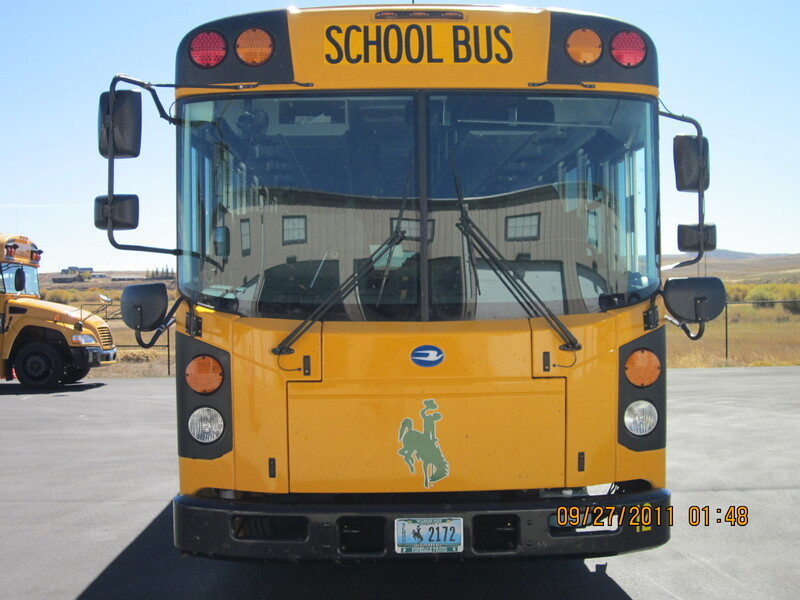 Prior to the start of this school year, the District was notified by WDE that decorating the buses was a safety hazard and was strictly prohibited. Well that’s certainly not the end of the world, but it definitely has a lemon flavor when you get right down to it. Enter SCSD #1 Transportation Director Doug Northup. Immediately after receiving our disappointing news, Doug was in my office with an idea to add our name and logo to the activity buses. Granted it doesn’t have the pizzazz of a Sports Boosters decorated bus, but it’s permanent, looks great and our Sports Boosters were tremendously supportive of the idea. So, in relatively short order, our activity buses demonstrated the pride we feel for our school and our teams. 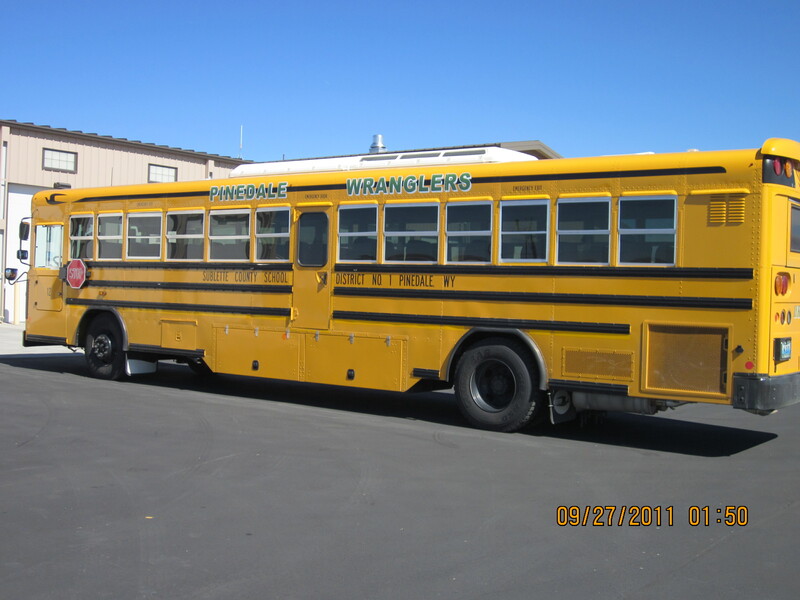 And if you really use your imagination, a school bus sort of looks like a big lemon on wheels anyway. Life gave us lemons and we made a huge rolling lemonade stand with a big green Wrangler staring you in the face, letting everyone know that Pinedale High School is coming your way. Many thanks to our Sports Boosters and Doug Northrup…and as always…GO WRANGLERS!